Our kitchen and floor staff have worked for us for many years now specifically doing function work and are friendly and professional. 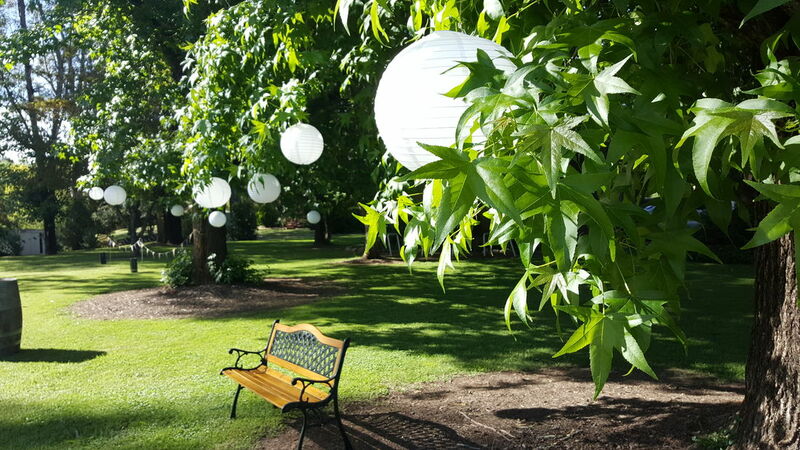 We cater for all types of functions, but specialize in weddings in the many beautiful locations this area has to offer. Sit-down & cocktail dinner menus from 50 to 450 people, tailored individually to suit each function and with consideration taken for any specific dietary requirements such as vegetarian, gluten-free etc. 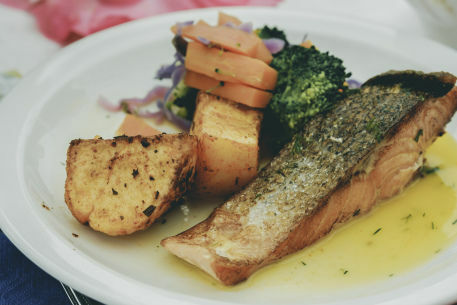 No frozen, mass-produced items are included on our menus and all courses are prepared specifically for each function. 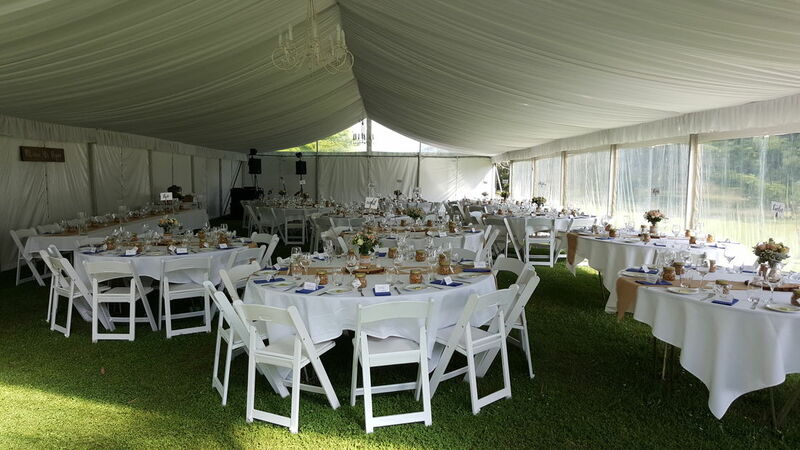 In size, we cater for anything from sporting events such as the annual Alpine Audax Classics with a sit-down French themed dinner for 300 people in a marquee by the river in Bright; Fly-the-Flag RACV sit-down dinner for 430 guests at the local sports stadium; Camp Quality marquee 300 pax. dinner to smaller get-togethers for 50 people in the backyard. 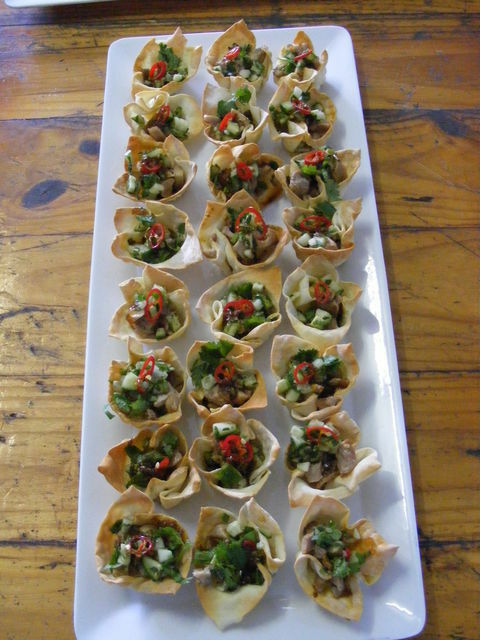 We also supply corporate lunch & hot fingerfood platters; delivery-only roasts & salads and ready-to-heat meals; cakes and desserts for restaurants and Mt. Hotham ski lodges. 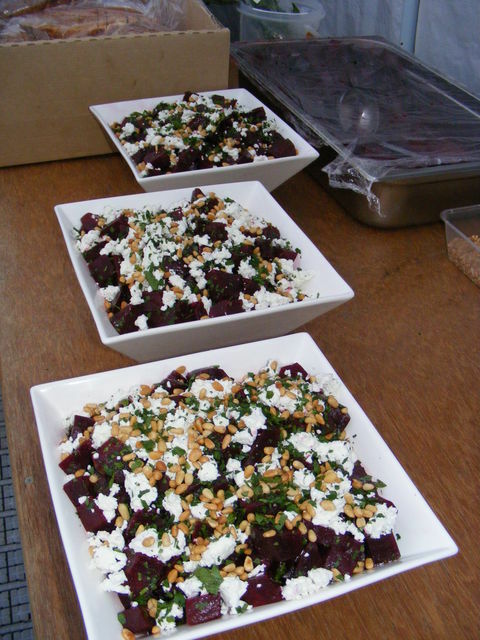 Meals are prepared by Chris, in our separate, fully equipped commercial kitchen on our property in the Buckland Valley. 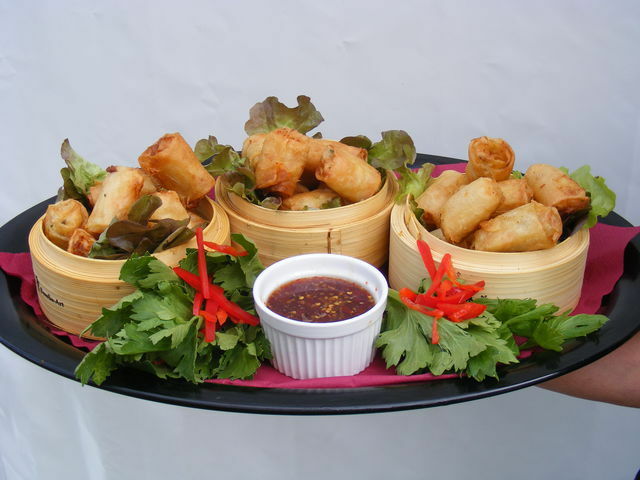 Further preparation and cooking is done onsite at the venue with our mobile catering equipment including large ovens; mobile burners; warmers etc. 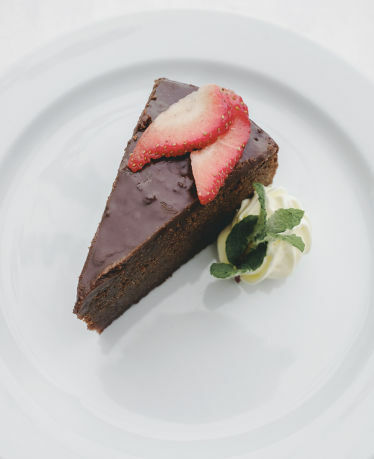 Apart from the catering equipment needed at the function, we also supply friendly, professional staff; plates and cutlery and provide an optional wedding cake cutting/plating service. 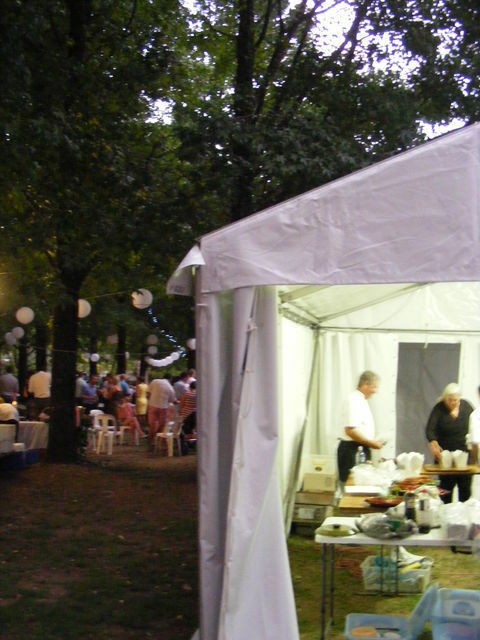 Other items such as glass ware; decorations; marquees; tables and chairs can be hired locally. 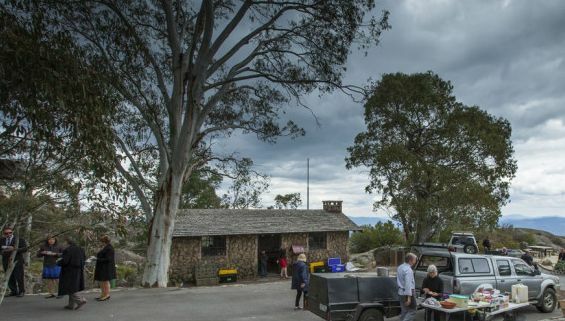 Buffalo Motel set on the banks of the Ovens River in Porepunkah offers accommodation plus a gorgeous venue for your special day. Wedding marquees can be erected on the expansive lawns overlooking the river. Bright Community & Entertainment Centre is popular venue as it can seat a large number of people and still has plenty of room for extra couches; play area for kids; photo booths; band and large dance floor. Also large parking area, large commercial kitchen, bar area plus stage. Other halls include Porepunkah, Wandiligong, Happy Valley, Mudgegonga, Gapsted, Rosewhite, Myrtleford, Freeburg, Beechworth.